April 15, 2016 - Deadline to submit CCC-861A, 'Request for waiver of administrative county methods for ARC-CO yields'. July 15 - Production submission deadline for 2015 NAP crops. August 1 - Deadline to request farm reconstitution for 2016. The U.S. Department of Agriculture (USDA) will begin offering farm ownership microloans, creating a new financing avenue for farmers to buy and improve property. These microloans will be especially helpful to beginning or underserved farmers, U.S. veterans looking for a career in farming, and those who have small and mid-sized farming operations. The microloan program, which celebrates its third anniversary this week, has been hugely successful, providing more than 16,800 low-interest loans, totaling over $373 million to producers across the country. Microloans have helped farmers and ranchers with operating costs, such as feed, fertilizer, tools, fencing, equipment, and living expenses since 2013. Seventy percent of loans have gone to new farmers. Now, microloans will be available to also help with farm land and building purchases, and soil and water conservation improvements. FSA designed the expanded program to simplify the application process, expand eligibility requirements and expedite smaller real estate loans to help farmers strengthen their operations. 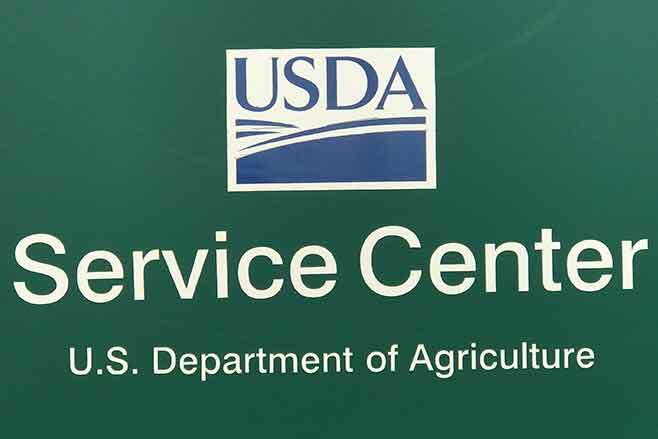 Microloans provide up to $50,000 to qualified producers, and can be issued to the applicant directly from the USDA Farm Service Agency (FSA). FSA (Ext 2), NRCS (Ext 3). By appointment only on Friday.